While delivering his Budget speech last month, Finance Minister Arun Jaitley made it clear that the Indian government considers cryptocurrencies illegal and vowed to stamp out their use. Now, a Mumbai-based startup is also capitalising on this apparent loophole. Truebil, which runs a used car marketplace, has devised a way to accept cryptocurrencies — bitcoins, to be specific — as payment. Truebil's co-founder and marketing head Shubh Bansal told TechCircle that this move is perfectly legal. "We are not accepting the payments directly," Bansal said. "Unocoin as our partner will receive the 'crypto-assets' from the consumer and then change it into a fiat currency before depositing it in our bank account. This brings it under the legal purview of existing laws." Explaining the back-end infrastructure, Bansal said that Truebil, operated by Paix Technology Pvt Ltd, will neither display any crypto-asset prices nor accept payment online. "Truebil will be accepting bitcoin payments at its brick-and-mortar stores using Unocoin's PoS application," he said. Unocoin gives Truebill a barcode, which on being scanned displays the price of a particular car in which a customer is interested. Customers will get a 30-minute lock on the price of the bitcoin should he/she decide to buy the car, with Unocoin taking care of the volatility. "Once the customer decides to pay using a bitcoin wallet, the Unocoin PoS can be used to deduct the crypto-asset which will be changed into fiat currency and transferred to our account in 24 hours," Bansal said. He added that Unocoin was not charging the startup or customers. Naveen CT, vice president of sales and business alliances at Unocoin, told TechCircle that the partnership with Truebil will help increase the number of points where cryptocurrencies are accepted in India. However, legal experts are not entirely convinced about this arrangement. 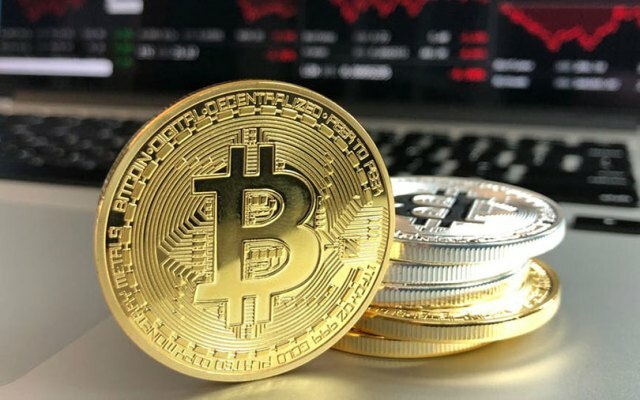 "The RBI [Reserve Bank of India] has issued a series of regulation indicating security-related risks associated with dealing with cryptocurrencies," Prashant Phillips, partner at law firm Lakshmikumaran & Sridharan, told TechCircle. "Such transactions would be most certainly on the government’s radar." He explained that while there is no specific provision which penalises cryptocurrency-based transactions, the government has clearly indicated that it considers the validity of such dealings to be on par with ponzi schemes. "If a formal notice is passed declaring such transactions as ponzi schemes, then such transactions may be punishable in terms of the Prize Chits and Money Circulation Schemes (Banning) Act, 1978," he added. Truebil is not the only company is looking to accept cryptocurrencies without breaking the law. Mumbai-based AS JustRide Tours and Travels Pvt. Ltd, which operates peer-to-peer car and bike rental platform Drivezy, recently raised $5 million via an initial coin offering (ICO) and has said that it wants to offer rental services in exchange of cryptocurrencies. Like Drivezy, several Indian companies such as WandX, Nucleus Vision, Bitindia and Cashaa have chosen the initial coin offering route (ICO) route to raise money instead of opting for an initial public offering (IPO). Drivezy had told TechCircle that the company's ICO had seen participation only from foreign countries due to ambigious laws surrounding the process in India. Ajeet Khurana, head of the Blockchain and Cryptocurrency Committee of India, which is an independent body, said the law does not offer clarity on ICOs. "While one can say ICOs come under its purview or should follow the law, another can just simply say that the law is outdated as ICOs were not present when it was put in place," he said. However, companies raising money via ICOs may not have it quite so easy in the long run as regulators in several countries, including the US, have started cracking down on companies dealing with cryptocurrencies. A recent report by The Wall Street Journal (WSJ) said that tech companies and advisors dealing in ICOs have been served notices by the US markets regulator compelling their attendance at courts and asking them to present crucial transaction details.